A poster produced by the Vermont Department of Labor. For the most part, the minimum wage gap among New England states will narrow in 2018. The state in the region with the highest minimum wage, Massachusetts, is holding its rate steady, at $11 an hour. Vermont's lowest paid workers will see a bump to $10.50. 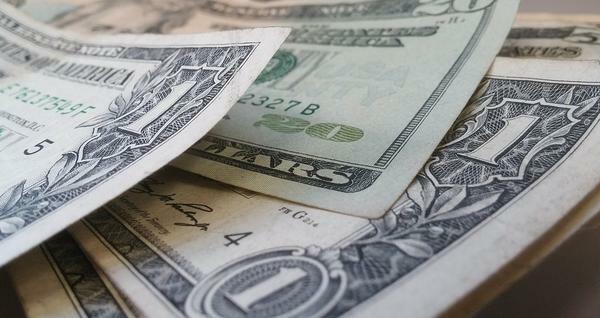 Rhode Island moves up to equal Connecticut, with a minimum wage of $10.10. Because of a 2016 ballot question, Maine workers see the biggest jump in the new year, up from $9 to $10 an hour. That means almost all New England states have their rates set within a dollar of each other. The outlier is New Hampshire, which continues to follow the federal minimum wage of $7.25, after lawmakers again rejected a proposed increase. 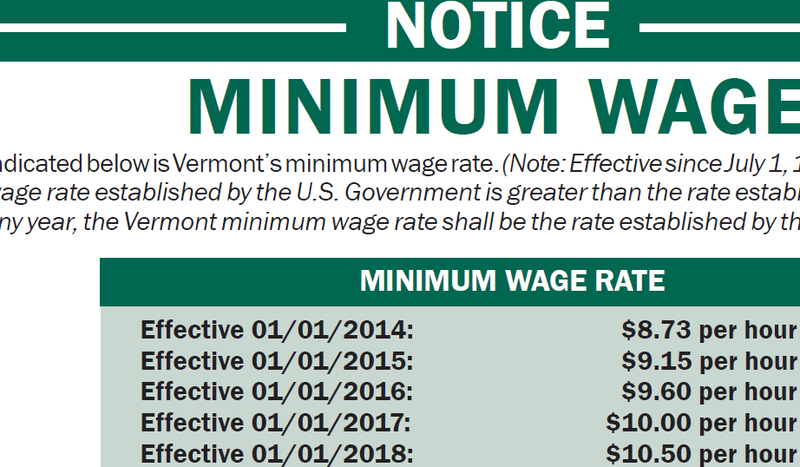 With increases already planned by state laws, Massachusetts will fall behind Maine in 2020, and eventually Vermont, whose minimum wage is set to automatically rise with inflation starting in 2019. With no movement on an increase in the Massachusetts legislature, labor activists are fighting for the state to stay atop the region. They want to put a minimum wage increase on the ballot this November. 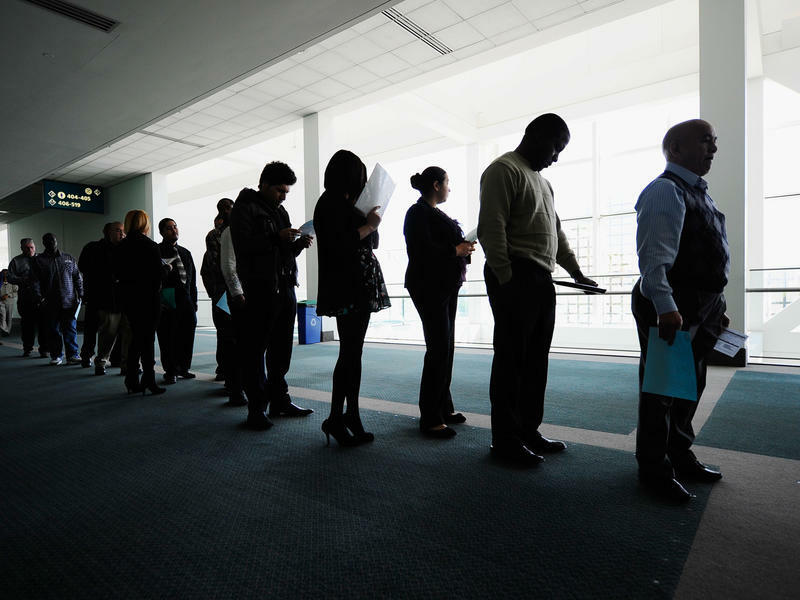 If passed, it'll gradually raise wages to $15 an hour. Copyright 2017 New England Public Radio. To see more, visit New England Public Radio. The Trump administration has been eliminating some protections that allow more than 300,000 people to live and work in the U.S. under what is known as temporary protected status. Many could face deportation when their status expires. 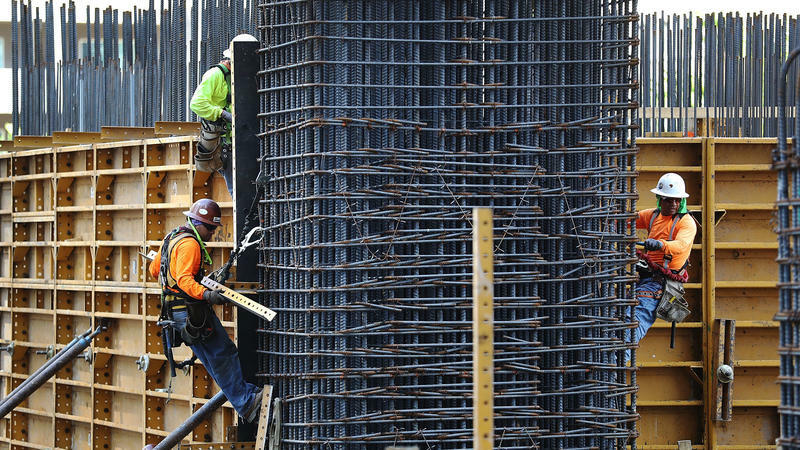 An estimated 50,000 of them work in the construction industry, concentrated in areas like Texas, Florida and California that are recovering from hurricanes and wildfires and where labor shortages in construction are especially acute.